The X-Acto #8 Lightweight Retractable Utility Knife is an excellent multi-purpose knife for a variety of applications. It features a lightweight case and a retractable blade that makes it safe and easy to carry anywhere. 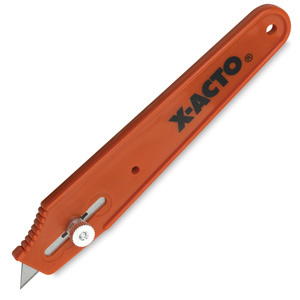 Use this versatile knife to make precise cuts on paper, matboard, foamboard, fabric, sheet metal, plastic, and more.